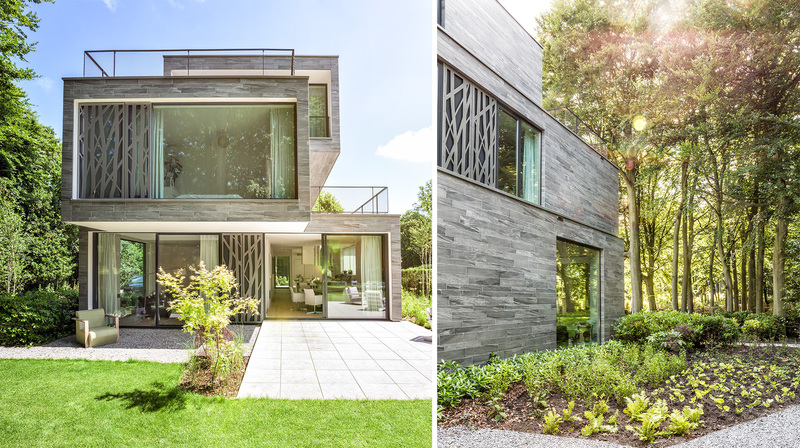 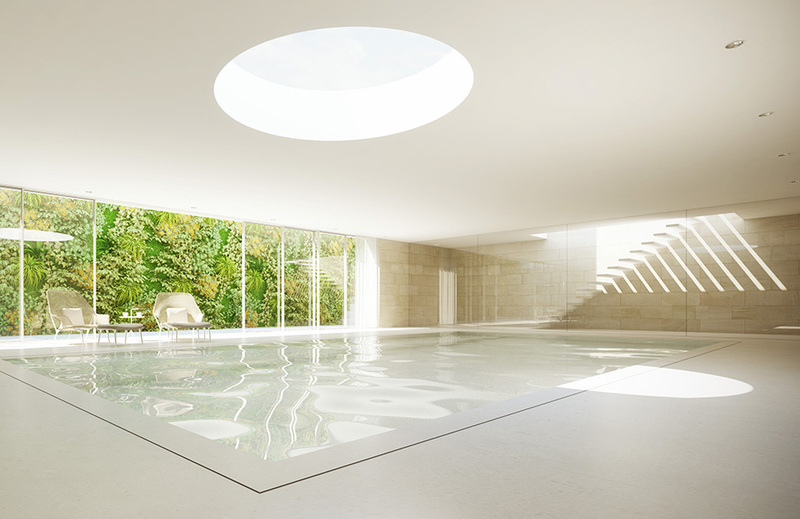 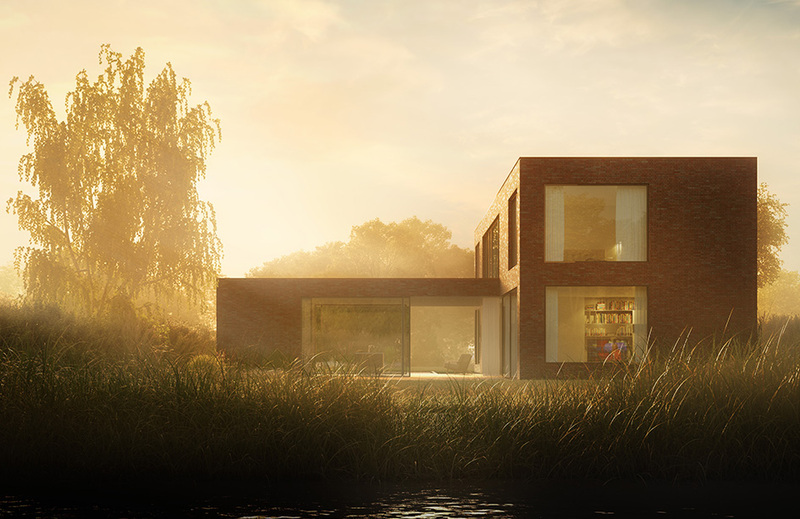 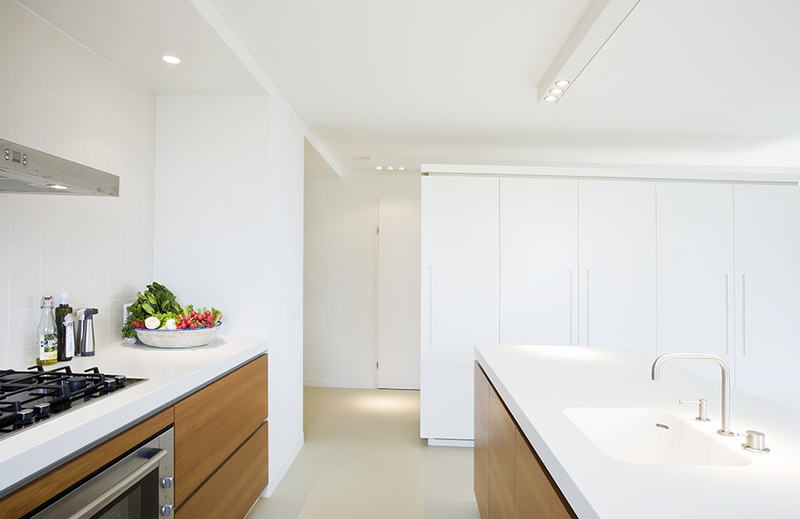 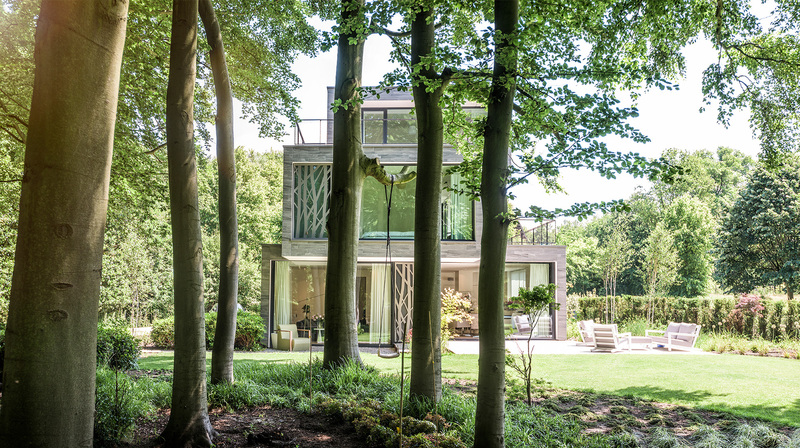 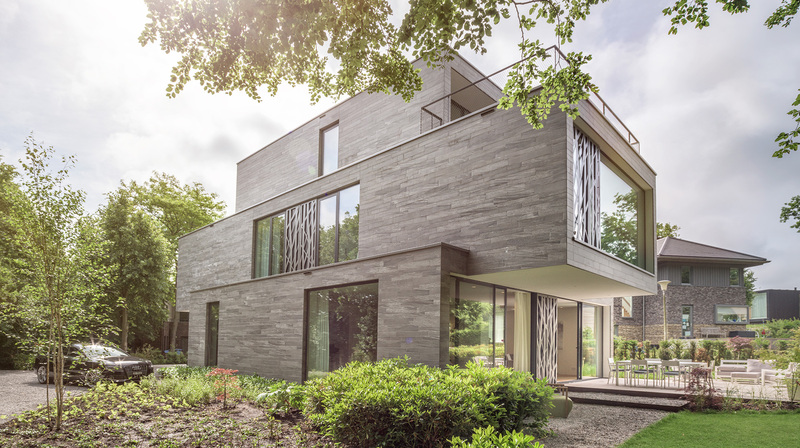 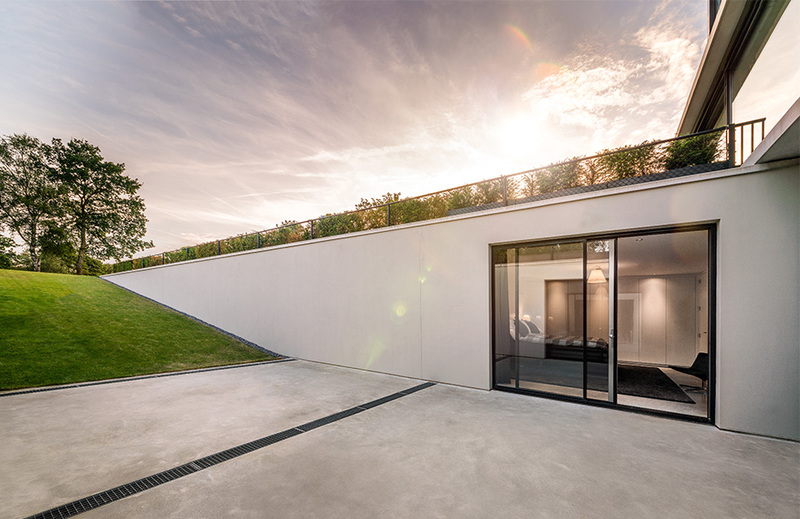 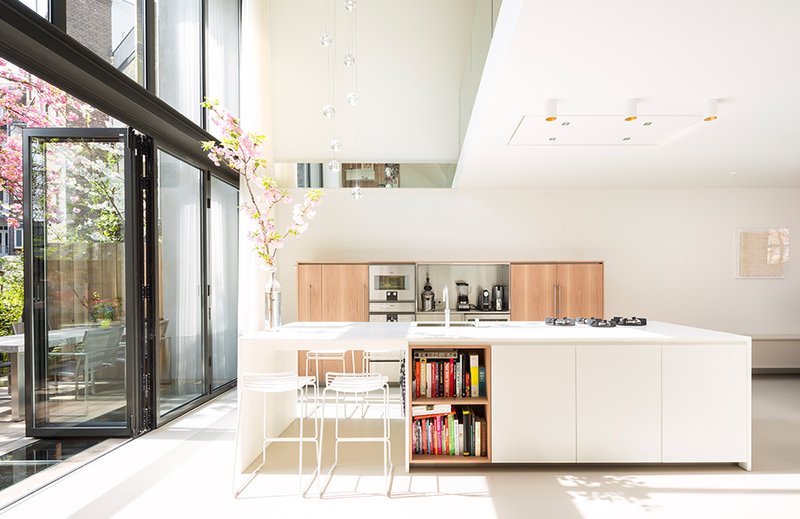 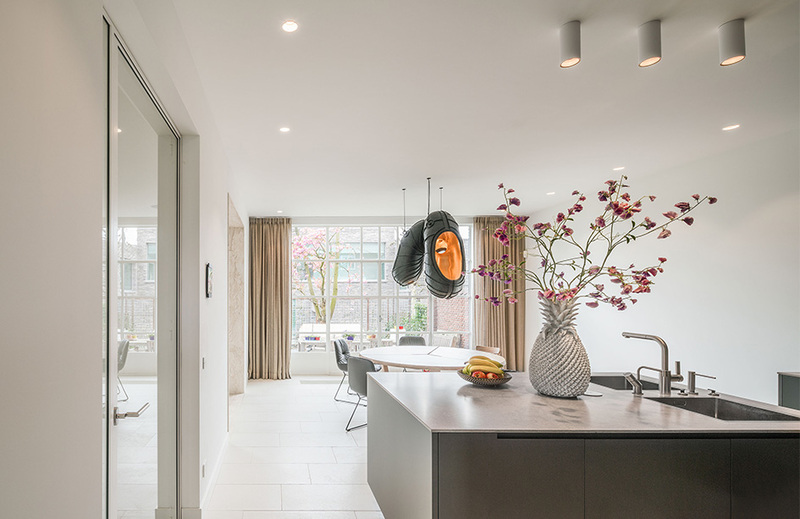 On a beautiful plot on the edge of forest and dunes lies Villa Bloemendaal 3. 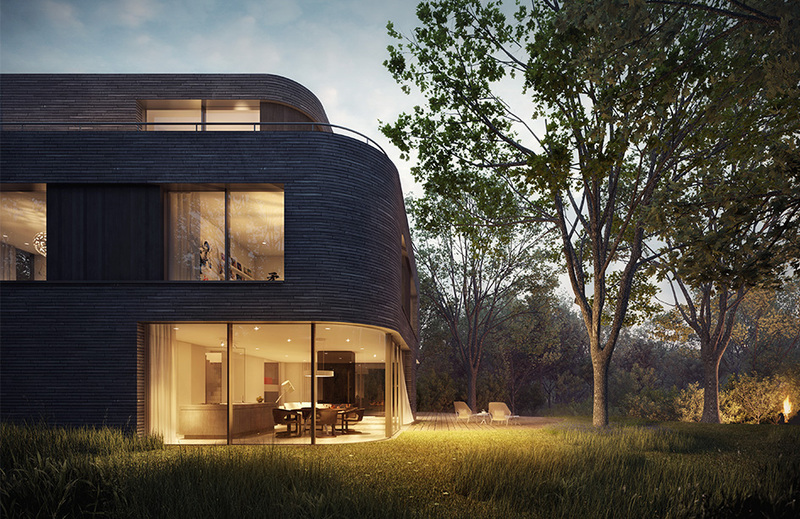 The three stacked volumes give the villa a remarkable and distinct shape. 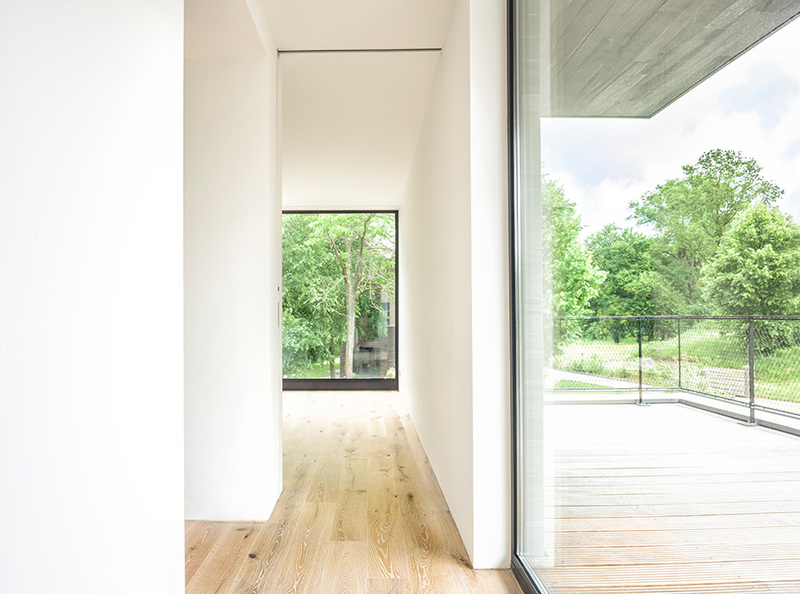 On the ground floor all living spaces are in open connection with each other. 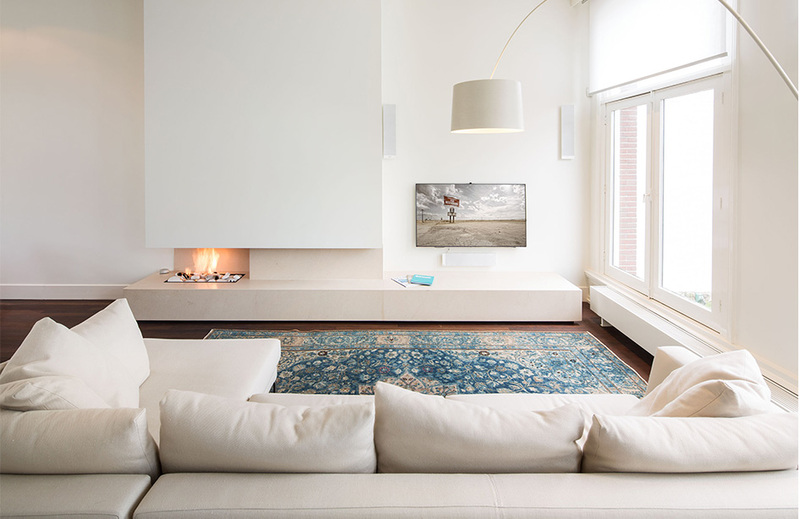 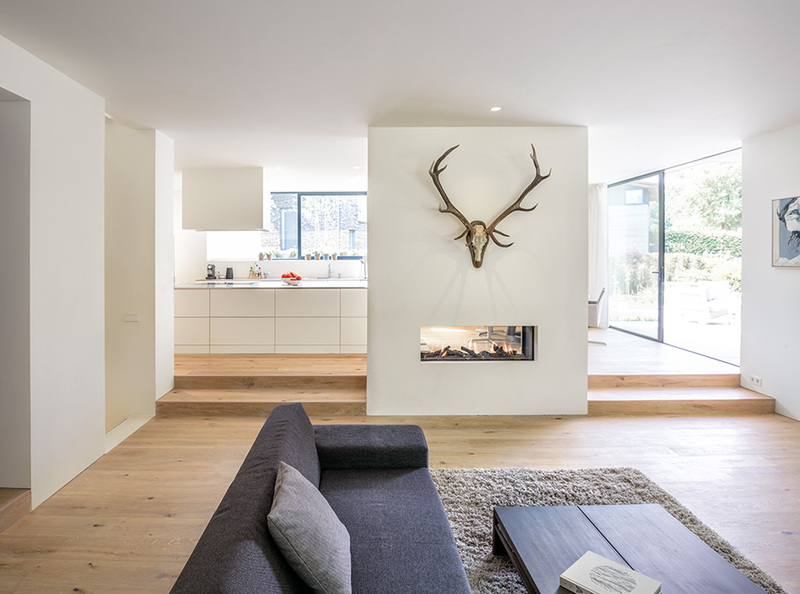 A subtle height difference in the floor and a fireplace that can be seen from both kitchen and living room gives each space its own character. 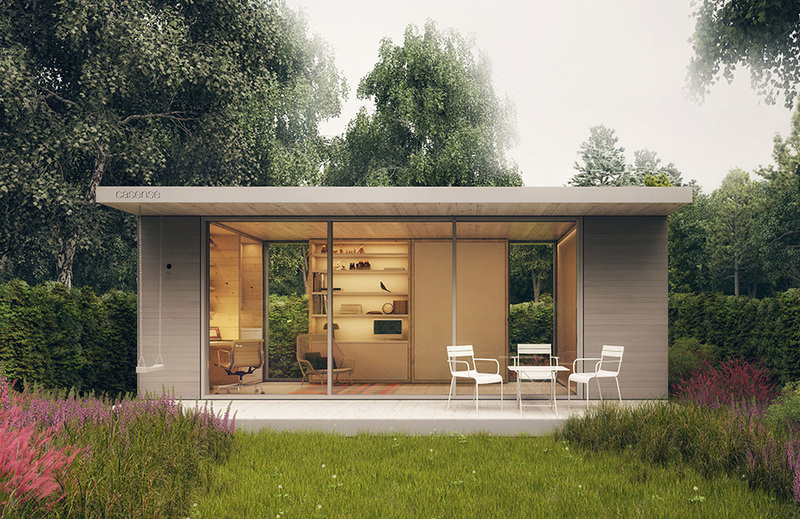 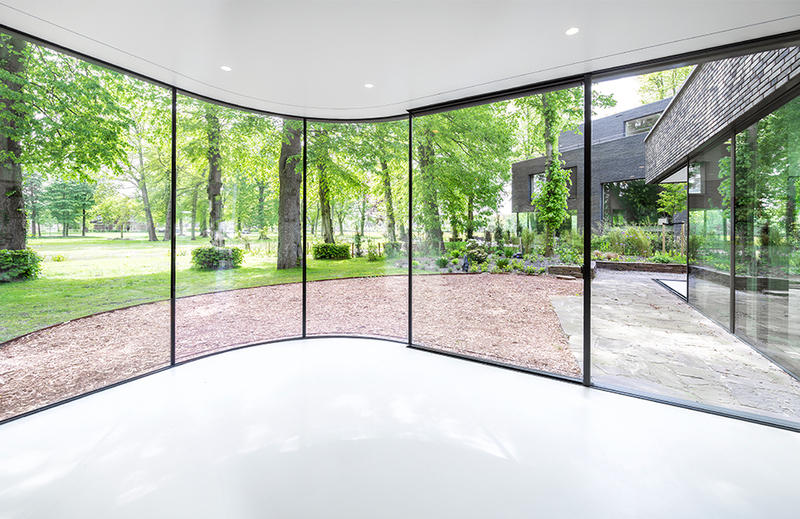 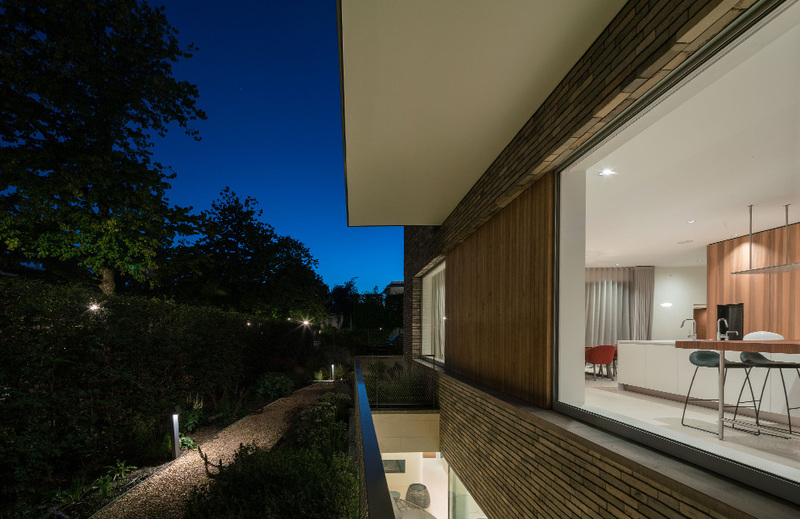 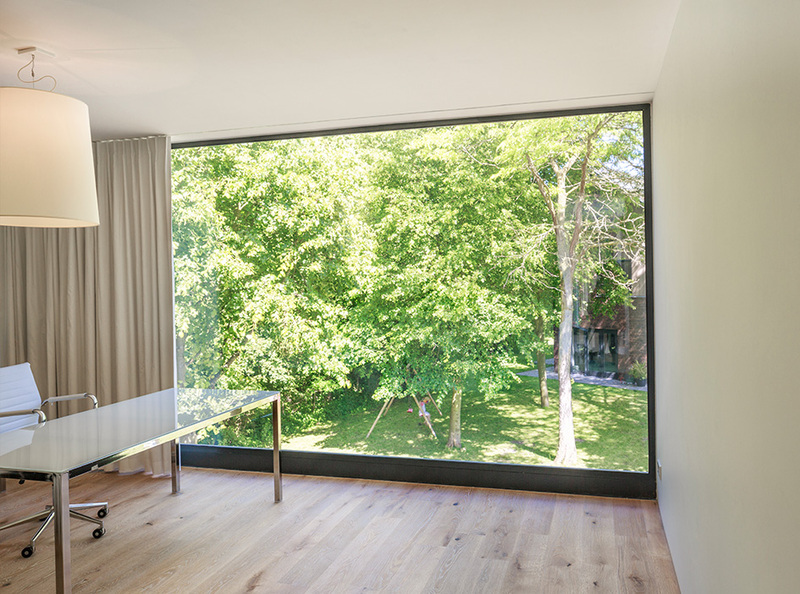 From the dining room as well as the living room large sliding doors give access to the large and green garden. 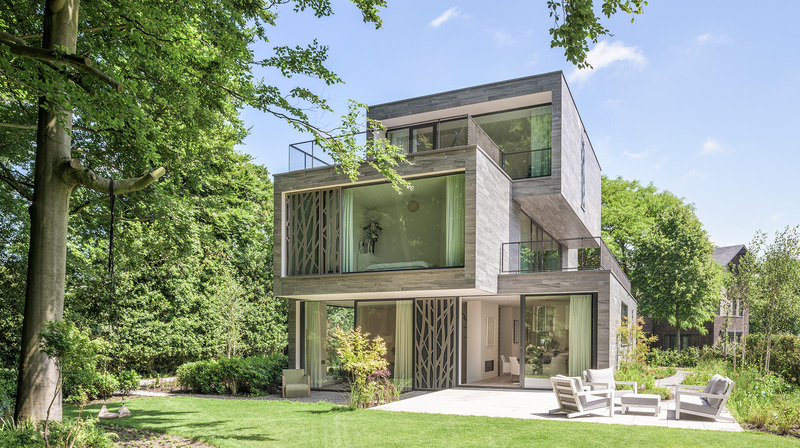 The top floors have large panorama windows on both sides that give fabulous views on the garden and forest. 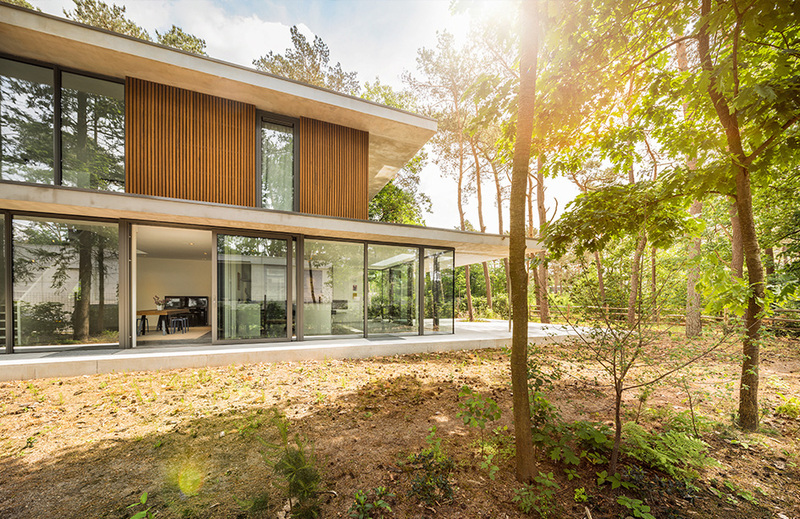 Two terraces can be found on the 1st and 2nd floor where the sun lingers until it sets behind the dunes.